GT Gold Corp. [GTT-TSXV, GTGDF-OTC] shares rallied strongly Wednesday after the company released new drilling results from its wholly-owned Tatogga property in British Columbia’s Golden Triangle area. 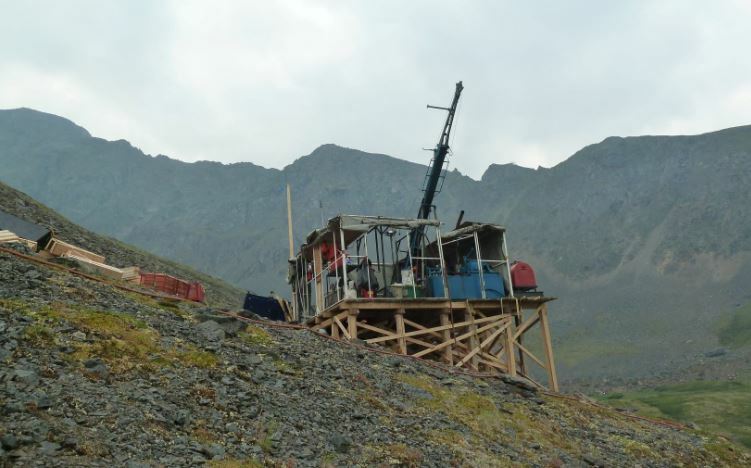 The company said assays from the latest holes from its Saddle North target confirm the existence of a major new gold-copper-silver porphyry discovery on the property. Investors reacted by sending GT Gold shares up 21.79% or 17 cents to 95 cents on volume of over 6.9 million. The shares are trading in a range of $1.93 and 41 cents. GT Gold is focused on B.C.’s Golden Triangle area. Its flagship asset is the Tatogga property, which contains a high-grade gold discovery known as the Saddle prospect. The Saddle discovery consists of two parts: a high-grade, near surface epithermal gold-silver vein system at Saddle South and, close by at Saddle North, a largely covered, porphyry copper-gold-silver mineralized system. On September 10, 2018, the stock rallied after the company reported a new porphyry discovery that is known to come to surface beneath thin glacial sediments and has been intersected in multiple holes along a 400 metre strike length, to over 700 metres true width, and to greater than 900 metres down hole. Mineralization remains open along strike and at depth. Drilling highlights include 0.42 g/t gold, 0.26% copper, 0.62 g/t silver (0.82 g/t gold equivalent) over 822.19 metres, from 78.87 m to 901.06 m in hole TTD085. To date in 2018, seven widely-spaced holes [TTD085, 090, 093, 098, 102, 107] have targeted the Saddle North porphyry discovery, GT Gold said in a press release on Wednesday. All holes have achieved strong visual intercepts of the target mineralized monzodiorite over considerable intervals, demonstrating broad lateral and depth continuity. Highlights include hole TTD093: 0.51 g/t gold, 0.30% copper, 0.93 g/t silver (0.98 g/t gold equivalent) over 904.12 metres, from 15.00 to 919.12 metres, including 1.02 g/t gold, 0.51% copper, 1.72 g/t silver (1.81 g/t gold equivalent) over 363.10 metres from 514.90 to 919.12 metres. Hole TTD093, collared 200 metres northwest of previously released hole TTD085 was mineralized throughout its length, returning very broad intervals of strong porphyry-style gold-copper-silver mineralization. 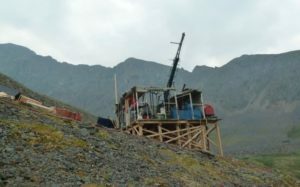 “Our drilling to date at Saddle North has rapidly outlined a very large porphyry gold-copper-silver discovery,’’ said Charles Greig, vice-president, exploration at GT Gold. “Porphyry discoveries of this scale and tenor are uncommon,’’ he said. Greig went on to say that GT’s exploration team is excited by the visual intercepts of sheeted vein, vein stockwork and disseminated style gold-copper-silver mineralization, and by the team’s ability to hit the host monzodiorite intrusion in follow up holes, even with large step-outs. “It is also exciting to know that the mineralized body is essentially intact, and largely uneroded, at surface beneath relatively thin overburden, and that it extends to depth, both down-dip of our known intercepts and along strike,” Greig said. GT said the Saddle North discovery remains open for expansion and drilling is continuing with two drills.